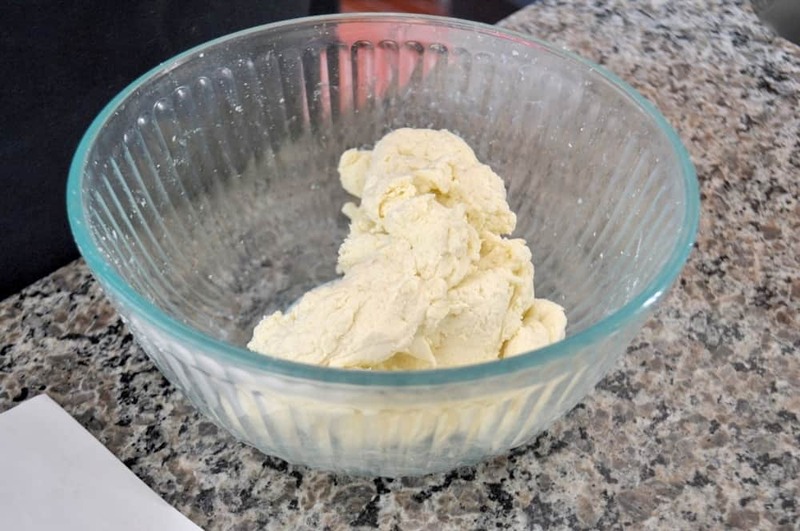 Homemade Mozzarella Cheese - It's Just That Easy! There are few things greater in life than Homemade Mozzarella Cheese. It may seem daunting, but once you realize just how easy it is to make, you won’t be able to stop yourself from making it all the time. 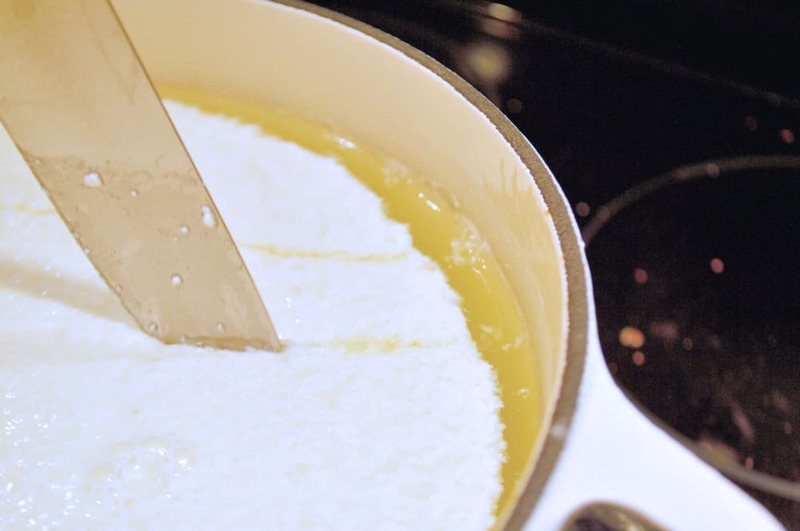 Homemade Mozzarella Cheese is a mix of science and cooking. 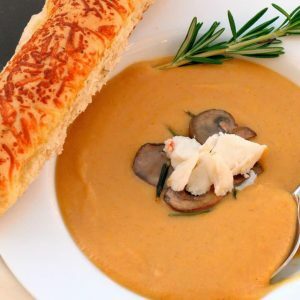 With a velvety texture and packed with flavor you will be making it all the time. HOMEMADE MOZZARELLA CHEESE! I will admit, when I first posted this, I lacked confidence in myself and bought a backup ball of fresh mozzarella cheese just in case. Honest truth? I didn’t need it and neither will you. which is an enzyme that helps milk coagulate or come together into cheese curds. 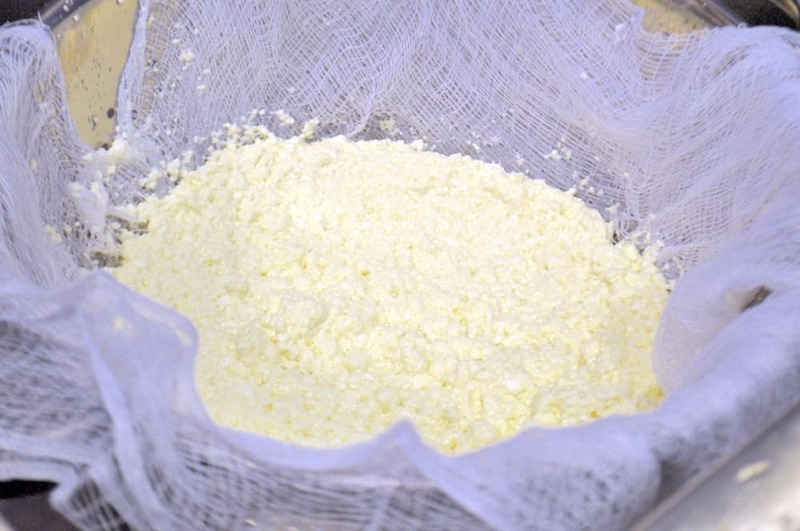 Rennet can often be purchased at beer or cheese making stores, specialty grocers, or online. If you are a vegetarian, be sure to purchase animal rennet as some are not veggie friendly. is used at different points during the cheese making process. 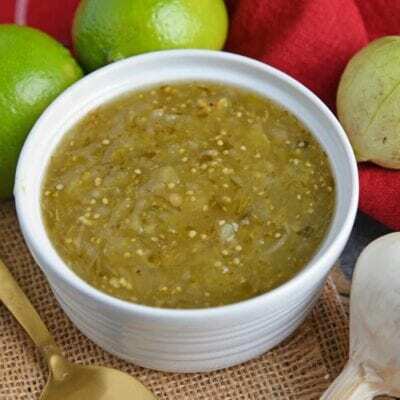 It helps to expel moisture or why, enhance flavor, preserve, and discourage any unwanted organisms. Many individuals will substitute kosher salt for this ingredient, which I am sure will work just fine, but for the price (relatively inexpensive), I decided to spring for the cheese salt. 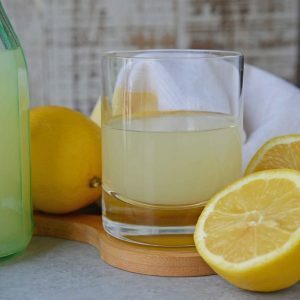 You will also need citric acid for this Homemade Mozzarella Cheese. The good news is this is easier to find. Most grocery stores will have this and can often be found in the canning aisle. Other items on your shopping list: a candy thermometer, cheesecloth (go figure! ), a slotted spoon, plastic gloves, and a non-reactive pot. Stainless steel or enamel are going to be what you are looking for. When all of that is assembled, you are ready to start your cheese making! I should also make a note here. 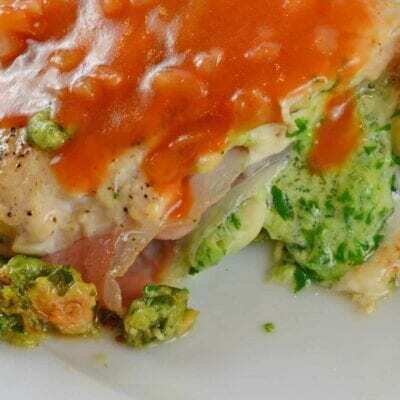 This recipe cheats just a touch. I used a microwave. Old school cheesemakers would be horrified, but I only have so many hours in the day. Less time in the kitchen makes more time for enjoying cheese! 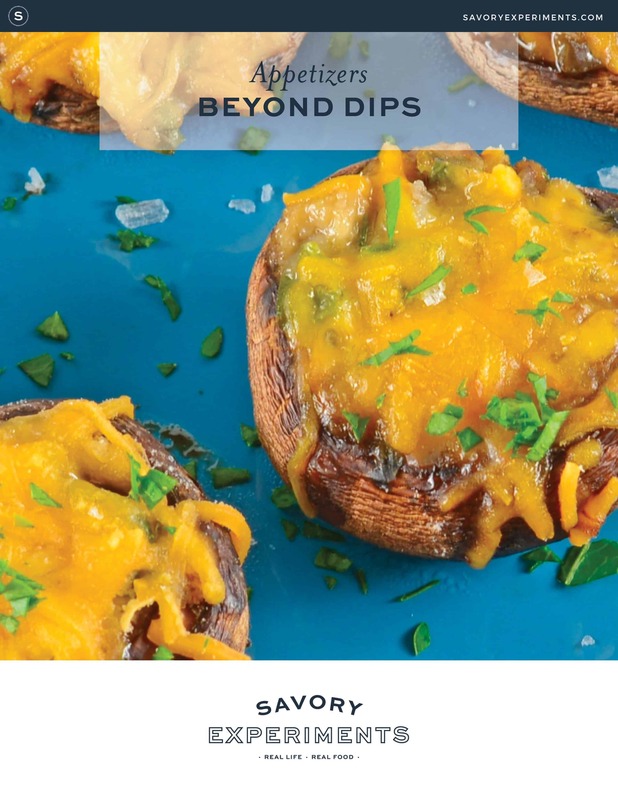 If you are looking for even more fabulous appetizers, snag a copy of my Easy Appetizers Beyond Dips Mini-Cookbook. Available here for only $0.99, one of these fun and festive appetizers sure to be the hit of any gathering! 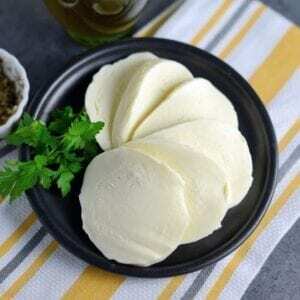 Make fresh, homemade mozzarella cheese for a fraction of the cost with no added preservatives or additives. Start by dissolving rennet in 1/4 cup water. Then pour milk into a large non-reactive pot. Place the thermometer in the pan and secure to the side. Sprinkle citric acid powder over top, store the remainder for later use. Stir dissolved rennet into milk. Stir for one minute. Heat milk to 90 degrees and hold steady at that temp. This was a little more challenging with an electric cooktop than gas, but I got it to work! Do not heat over 90 degrees. 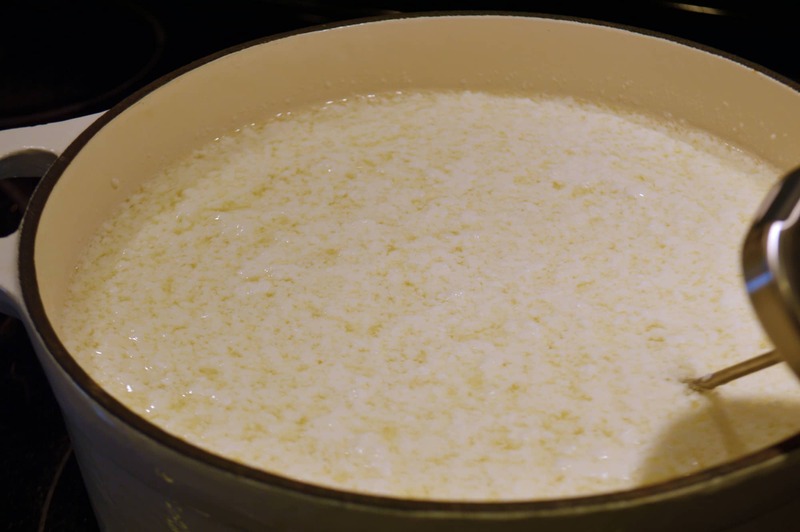 After 5-10 minutes, milk will start to separate, cheese curds from whey. Cheese curds will be a silky, gelatin-like substance. Whey is a liquidy, yellow substance, look around the edge in the picture. Using a large knife, cut curd into a checkerboard pattern with squares equaling 1×1 inches. 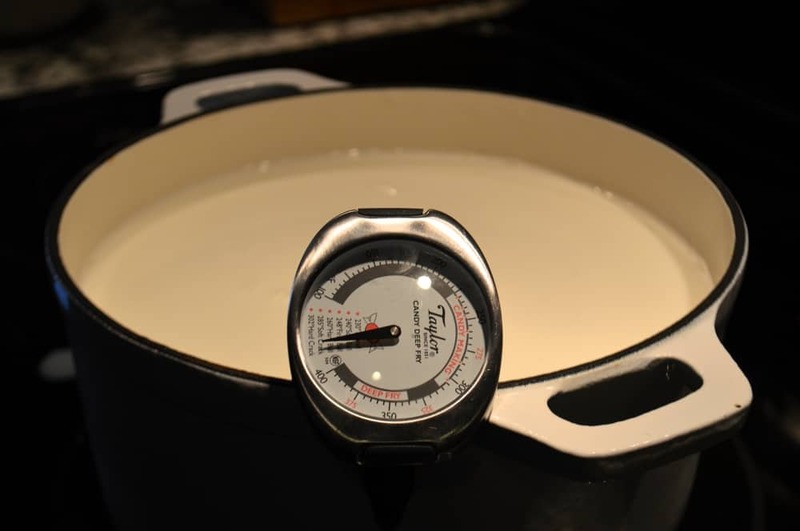 Continue to heat milk mixture to 110 degrees for 20 minutes. Be mindful that it does not go over 110 degrees. Cheese will continue to separate. Line a colander with cheese cloth. Pour mixture into colander to drain. 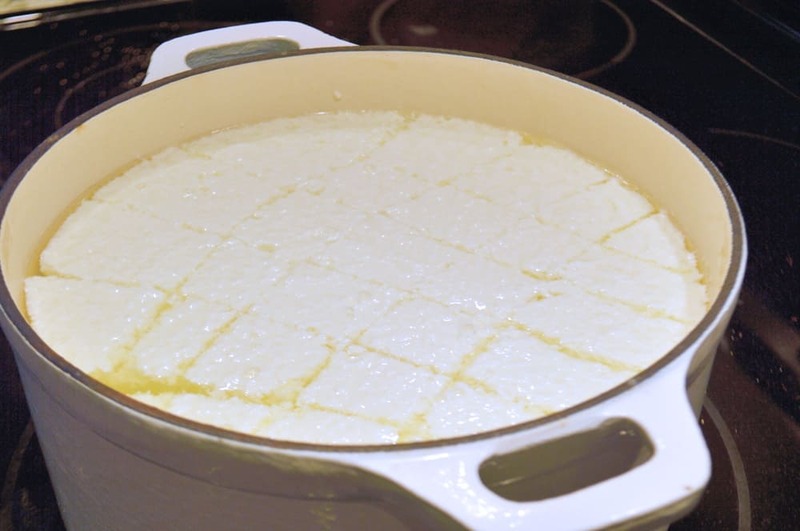 Dump cheese curds into a microwave-safe dish. Discard whey. Microwave on high for 1 minute. Drain off the whey. Wearing plastic gloves to combat the heat, knead and stretch for 30 seconds. Heat on high for an additional 30 seconds or until it reaches 135 degrees. Curds will be really hot. Add cheese salt. Wearing plastic gloves will prevent some of the heat from scalding your hands. As much as you can, knead the dough like you would bread. Start to pull and stretch. It might not be stretchy like silly putty, but it will still be okay. 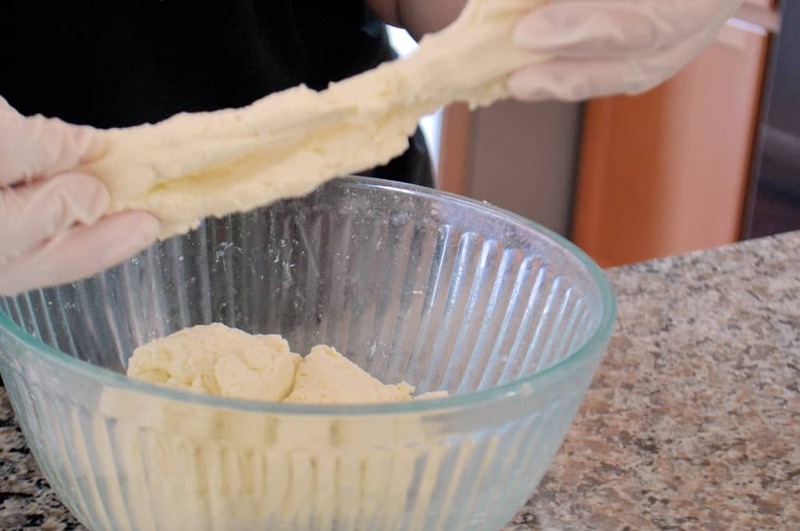 Continue to knead and stretch until it is one mass and not falling apart. Mold into a ball and wrap with plastic wrap. 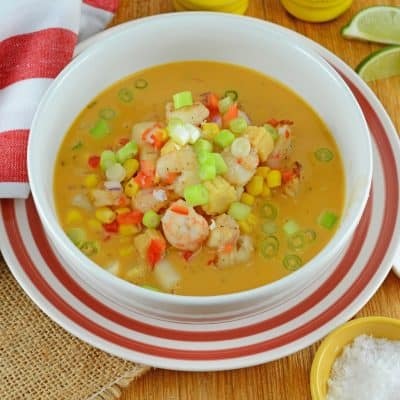 Place in the refrigerator for at least 30 minutes. Remove plastic wrap and place in a bowl. Drizzle with olive oil and Italian breading dip seasoning. Slice and serve! 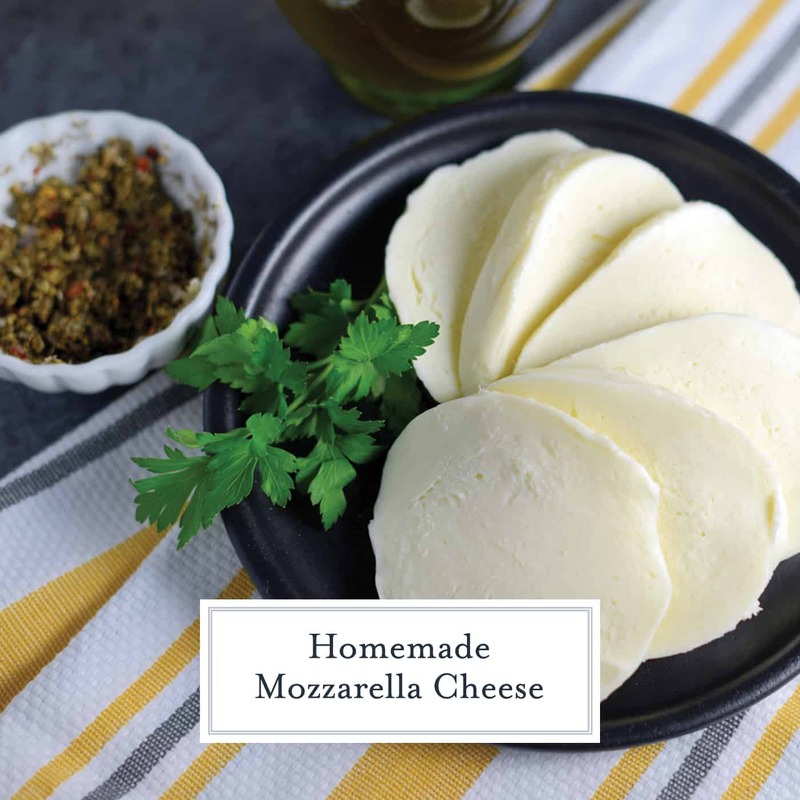 Enjoy your Homemade Mozzarella Cheese. Cheese will stay fresh for 2 days in the refrigerator, keep covered with olive oil to stay moist. How impressive are you! I don’t think I am ambitious enough to make my own cheese! Oh my goodness.. I just might have to try this! I’ve always wanted to try my hand at making cheese!! Your pics make my mouth water! Oh my goodness! I want to eat all of the cheese! I might have to try this one! This looks SOOO amazing! yummy! I would love to try to make homemade Mozzarella. This looks like it would be delicious. Wow, now that sounds delicious! I have never tried to make my own cheese but this doesn’t seem too difficult! For the love of deliciousness! I have to try this next time I have my girls over! 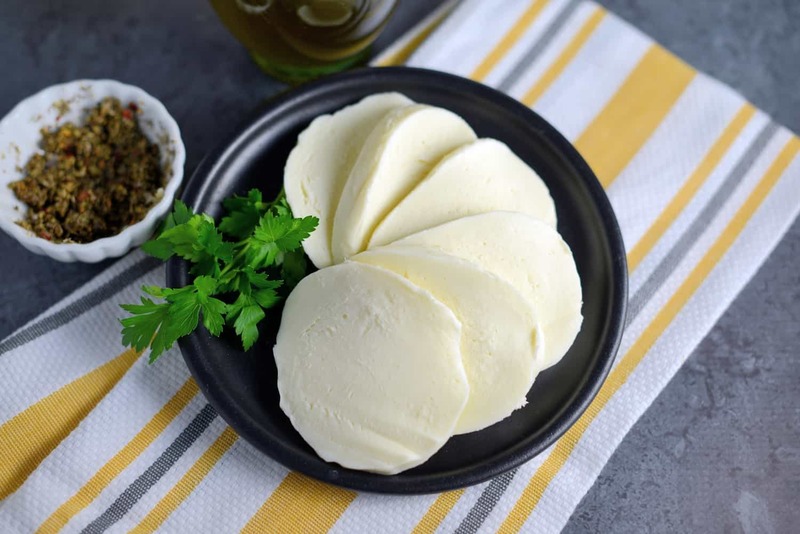 Homemade mozzarella cheese is so delicious and fun to make. 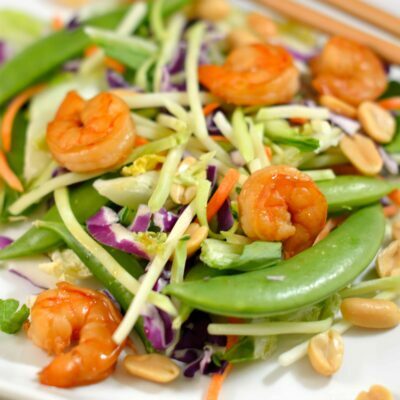 Thanks for reminding me of this….I think I’ll make some this weekend! I really want to try this! I would love to make my own cheese. I once bought some homemade cheese at the farmers market… never thought about doing it on my own! I love this! Homemade’s always better then anything you can buy at the store! We just bought a huge brick of mozzarella! Would love to make this! I like mozzerella, a lot, and would love to have some homemade. Thanks for sharing. Now I am hungry for CHEEEEEESE! This looks amazing. Ship some to me? This is something I’ve always wanted to try, and try to make. I’ve never had this before, and looks so good! I have not made homemade mozzarella cheese. But it looks like fun to make. It looks really good, my husband and son both love cheese. I will have to try to make this sometime. I had no idea it could be so easy. I have got to try this myself! I have always wanted to make my own mozzarella cheese but thought it would be too hard! Thanks for the recipe can’t wait to try this! I’ve read about making homemade fresh mozzarella a few times. It looks sooooo good. I want to try it! These look really appetizing. I’ll have to give these a try. Wow, I never would have thought to make my own mozzarella cheese. It is a lot of work, but it would totally be worth it. This is amazing. I need to try this for the family. I had never thought to make my own mozzerlla cheese. This seems easy enough – thanks for sharing. I’ve been wanting to make my own cheese for ages. I see how easy it is. I already have cheese cloth so I should get on that! This is very cool. I’ll have to try this. Mozzarella is one of my favorite cheeses. This looks really good. I’ve seen this sort of thing on Food Network before, and I’ve always wanted to try it. Homemade anything is better than store bought. 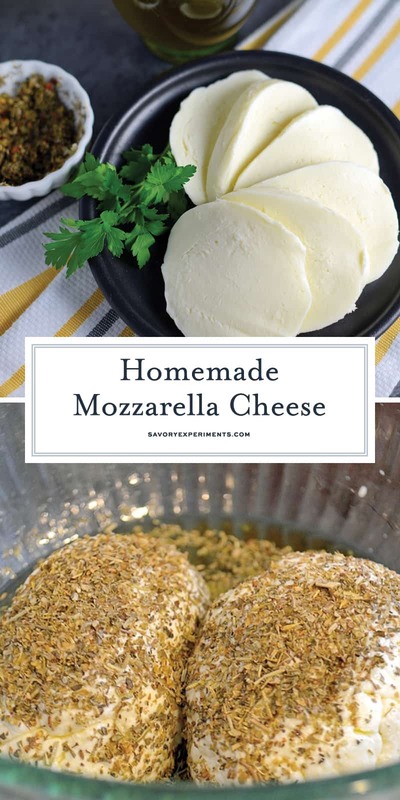 Homemade mozzarella cheese? That’s pretty cool. Okay, this is getting pinned on Pinterest. I’ve made other soft cheeses at home, but I’ve never made mozzarella. I can do this one. That is a fantastic recipe. Never have made my own cheese. Oh wow! These look so yummy! I love these with marinara sauce!! I have never made my own cheese before. I didn’t know it was as simple as this. I might be making my own mozzarella soon! I want to fry it up and serve it with marinara. i LOVE cheese. I have seen this done but I’ve never tried making it myself! It looks like yours turned out awesome! I have always wanted to make my own cheese but I just haven’t gotten around to it yet. Pinning this recipe for reference. You come up with the BEST recipes. Seriously. I am drooling over here.